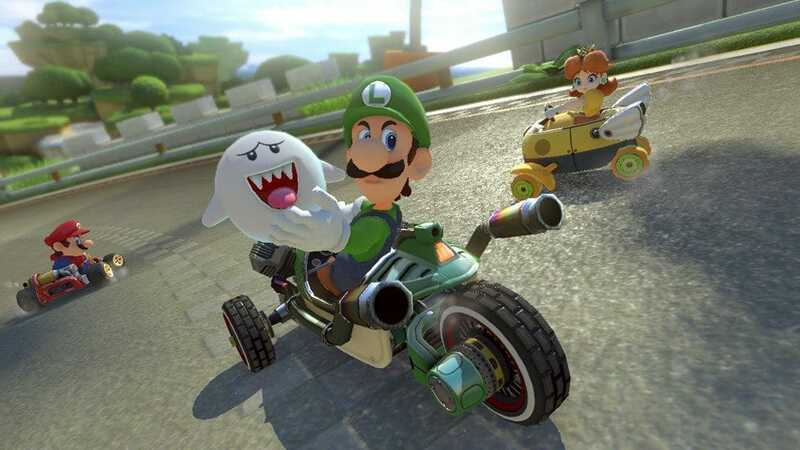 Mario Kart 8 was originally released for Nintendo Wii U back in 2014 and went on to sell over seven million copies, placing it in sixth place among the Mario Kart series. 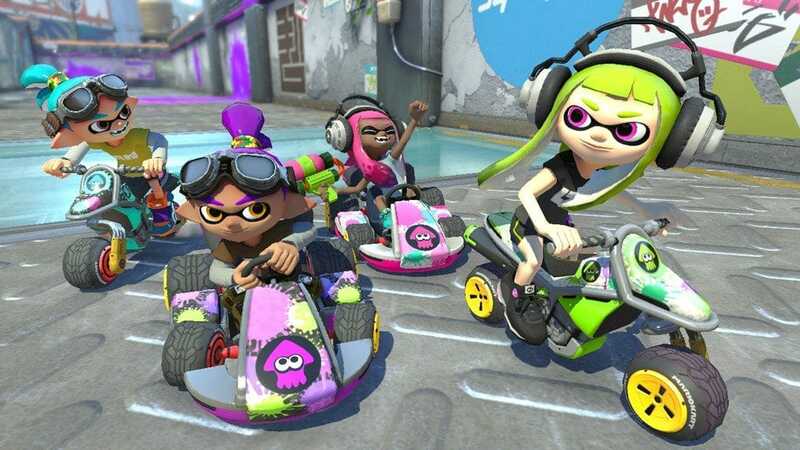 Three years later, Nintendo is prepping the release of Mario Kart 8 Deluxe for their new Nintendo Switch console that debuted March 3 to rave reviews and long lines of eager gamers hoping to purchase one before it sold out. 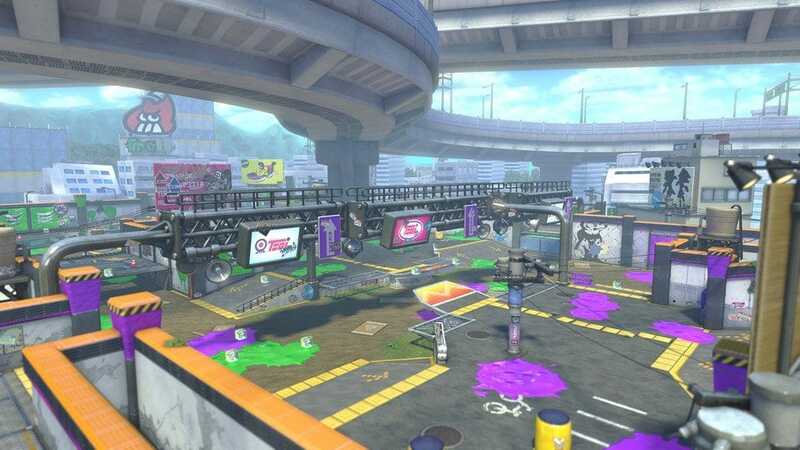 So why should be excited for the re-release of a three-year-old game? Upgrades, that’s why. This isn’t a lazy port with no added value. The game earns its new Deluxe title. 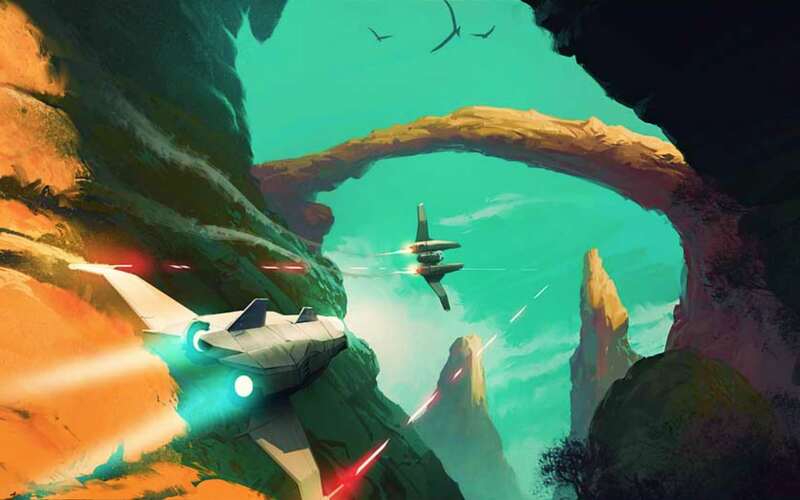 Think of it as the ultimate version of an already great game. 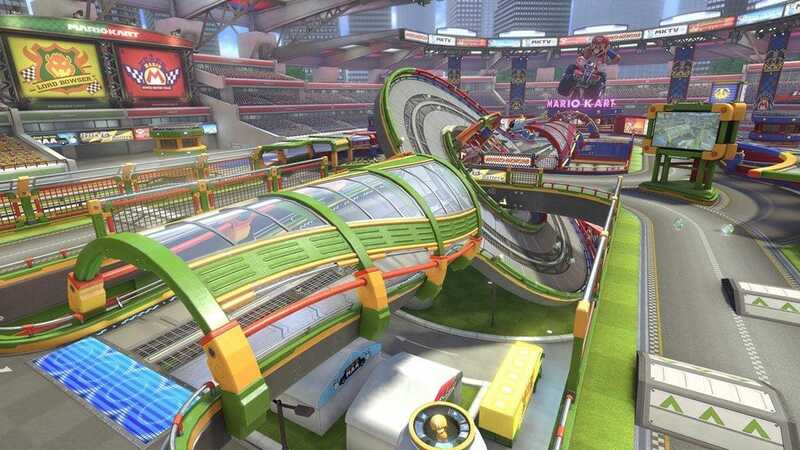 Every character and track, including bonus DLC (downloadable content), from the original Mario Kart 8 is included, along with the following new characters: Inkling Girl & Inkling Boy from Splatoon, King Boo, Dry Bones, and Bowser Jr.
There’s also an improved Battle mode with Balloon Battle and Bob-omb Blast options and new courses Urchin Underpass and Battle Stadium. 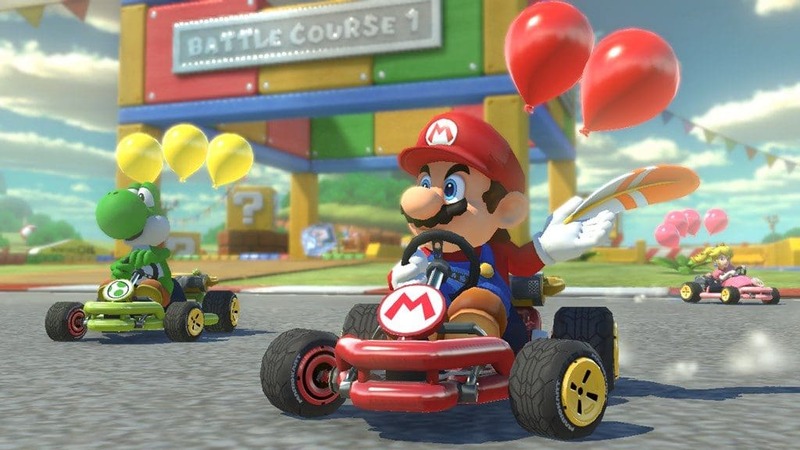 If you’ve never played Mario Kart before or if you’re new to gaming, there’s a new Smart Steering feature that makes driving even the fastest vehicles in the game much easier, including three vehicles making their debut. 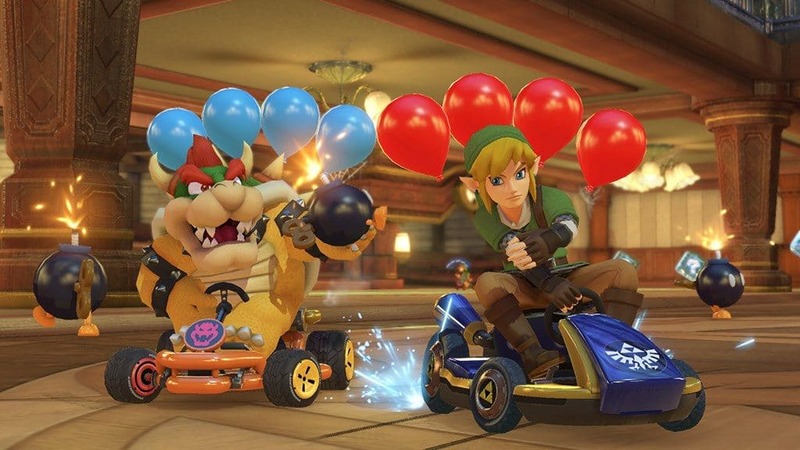 Perhaps the most exciting addition to Mario Kart 8 Deluxe is the ability to carry two items at the same time, adding a new layer of strategy and excitement. 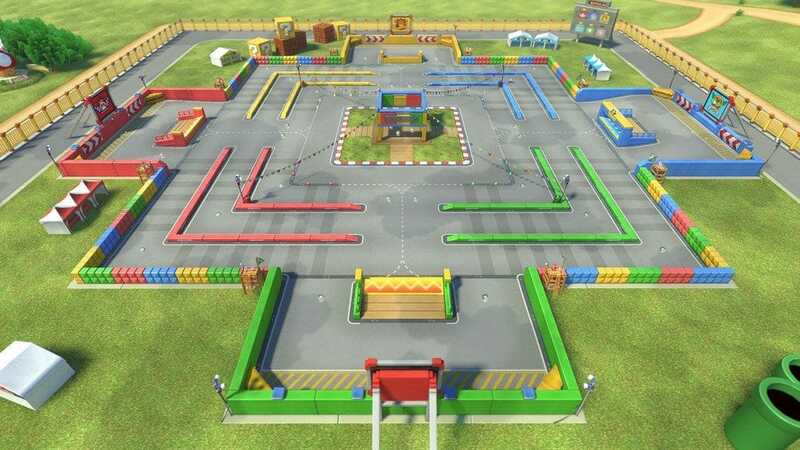 The best part of Mario Kart is playing with your friends and Nintendo makes it easy by supporting 4-player multiplayer while connected to a TV, and 8 players locally across multiple Switch consoles. 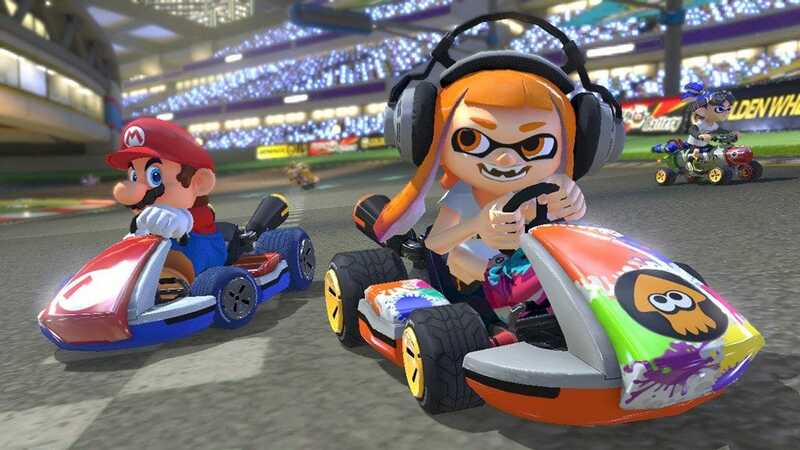 Mario Kart 8 will be available April 28, 2017.